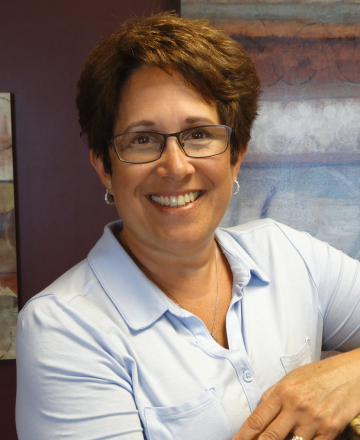 Managing the business retirement planning department, Deb is responsible for design, implementation and administration of qualified and nonqualified retirement plans for business clients and their employees. She also coordinates the accounting, tax and other financial services for various individuals, businesses and nonprofit entities. Deb is a member of the American Institute of Certified Public Accountants (AICPA), the Pennsylvania Institute of Certified Public Accountants (PICPA), the National Institute of Pension Administrators (NIPA), and the Profit Sharing Council of America (PSCA). Deb volunteers her time teaching various financial literacy topics to high school students and other organizations. Prior to joining JFS in 1996, Deb served six years as controller for a privately held environmental services firm and seven years in public accounting. She holds a Bachelor’s Degree in Accounting from Pennsylvania State University and earned her Certified Public Accountant license in 1992, the Chartered Retirement Plan Specialist™ designation in 2003, and the Personal Financial Specialist designation from the AICPA in 2006. In 2013, she received the Accredited Investment Fiduciary® (AIF®) designation. She and her husband live in Mercer, PA, and have two children. Deb enjoys spending time with her family and young granddaughter, gardening, hiking and crocheting.